We already know that the daughter of John Legend and Chrissy Teigen is infinitely cooler than we’ll ever be — even though she’s only a year old. But Teigen’s latest Instagram post of daughter Luna Simone solidifies what a STAR this baby already is. How could she not be with a supermodel mother and a musical genius father? But Teigen’s post also shows that Luna has inherited her fabulous parents’ sense of style. Even though they were busy prepping for the Met Gala, Teigen and Legend made time for their daughter before they hit the big New York event. Specifically, Teigen held a pair of old-school glasses up to Luna’s face for a truly adorable Instagram. See what we mean about Luna already being cooler than us?! Seriously — she’s pretty much a baby model for Warby Parker. Like, we’re fairly certain that if those were Warby Parker glasses, the company would be scrambling to feature Luna on their social media. After all, the vintage-looking, metal aviators that Luna’s rocking do bear a resemblance to Warby Parker’s York style. 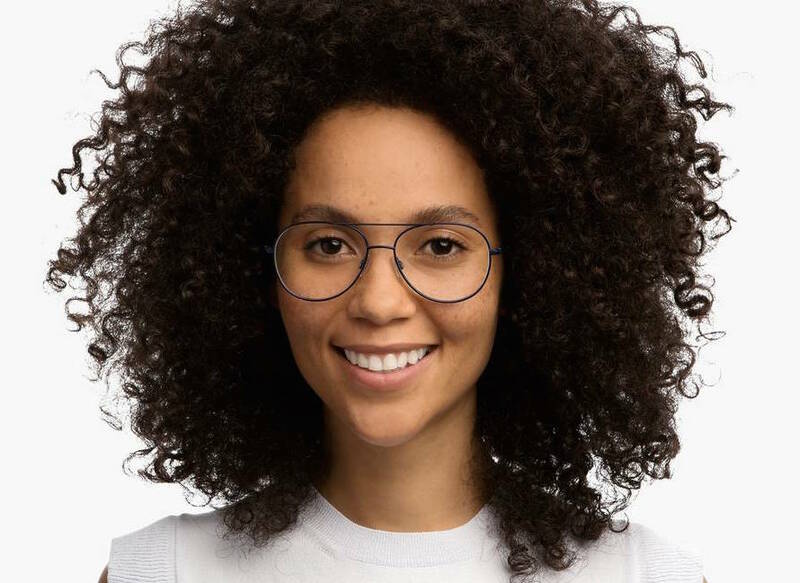 We also know that Warby Parker likes to help out kids, as they recently pledged to donate 20,000 pairs of glasses over the next four years to students in New York City schools. But even if Luna and Warby are a match made in glasses heaven, we think that Luna may get some bigger modeling jobs if she ends up wanting to pursue the same career as her mom. And speaking of her mom, although Legend and Teigen could have finished getting ready for the Met Gala — since Teigen had just posted a photo of them in bed with the hilarious caption, “Readddddy. #metball” before the one of Luna — she decided to hang out with her little girl instead (good choice). Plus, Legend and Teigen still managed to make it to the Met Gala and slay, as per usual. Sure, Teigen was just having some fun with her baby girl and we ran wild with it, but that’s just a testament to the star power all the members of the Teigen-Legend family have.